An Auto Mechanic performs skilled repairs and maintenance on automobiles and larger vehicles, such as trucks. 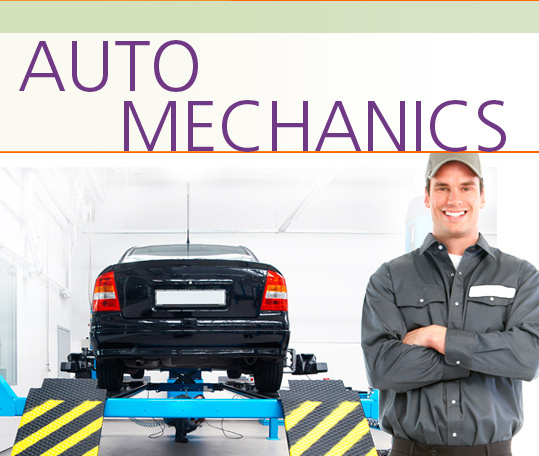 Auto mechanics work in garages, at car dealerships and in auto maintenance departments of large companies. In the Auto Mechanics Career Extension, students learn how to interview for a job as an auto mechanic and learn to discuss their experience, qualifications and background. They become familiar with work conditions and learn about being careful in the workplace. They learn about the services that auto mechanics provide and how to deal with feedback from both clients and superiors.